Take it from me, moving house is never pleasant. Once you’re in it’s fine, but the initial planning and preparation process is a nightmare. And one of the reasons why it’s such a nightmare is the costs that are involved. There are a lot of expenses you’ll need to cover when you’re moving house, but it can sometimes be difficult to remember all of them. That’s why I’ve come up with this list to help you. This is just a few of what I consider to be the most essential expenses involved in moving house. And you need to be sure you can cover all these costs before you start the move. Conveyancing, simply put, is the transferring of property from one name to another. It’s what determines the ownership of a place. So naturally, it’s a key part of the moving process. And, as such, you’re going to need to make fee payments. This is a crucial part of the moving process, so there's no way around it. It’s a necessity, not an optional extra. So make sure you have plenty of money saved to pay these costs. There will be different methods of payment. Some fees will be chargeable upfront while other conveyancers might charge on a per hour basis. You need to decide which option best suits you. 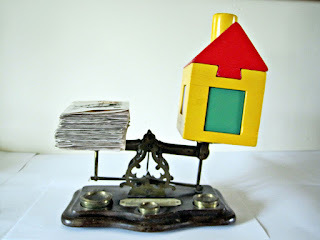 Of course, you need to think about mortgage repayments. Once you’ve purchased your home, that’s not the end of the story. You’ll have a mortgage now, and you’re going to have to worry about mortgage repayments. This is similar to rent in that you’ll have to stump up for it each month. You need to figure out what your mortgage repayment rates are going to be before you buy a place. That way you’ll know if you’re able to afford it, and cover the repayment plan without problems. You mustn’t forget that you’re going to have to cover legal fees as well. When I’m planning to move, I always make sure the first thing I do is hire a lawyer. You can find plenty by checking out Legal Services Link and choosing the right attorney. I can’t stress how important it is that you have legal guidance when you’re dealing with a move. Legal fees are essential when you are thinking of moving, so make sure you find out what they are. Don’t forget about your deposit! I’m surprised by how many people overlook this when they’re planning to budget for a home. One of the first expenses you’ll need to cover will be the cost of the deposit. And you need to try to make sure you can pay for a good sized deposit. This is going to determine the type of place you can get, and what your mortgage is going to be. So be sure to make this one of your priorities! Moving house is a huge commitment, both physically and financially. I have moved enough times to know how stressful and chaotic it can be. And that’s why you need to make sure you know the costs involved, and that you prepare for them. Take a look at the essentials I listed, and make sure you plan for these expenses. Thanks for helping us be more thoughtful about our move. Your tips are great and I'm sure I'm not the only one that thinks like that. Keep up the great work!